As I’m writing this in January 2019, I suppose we can already talk about the tool using past tense. 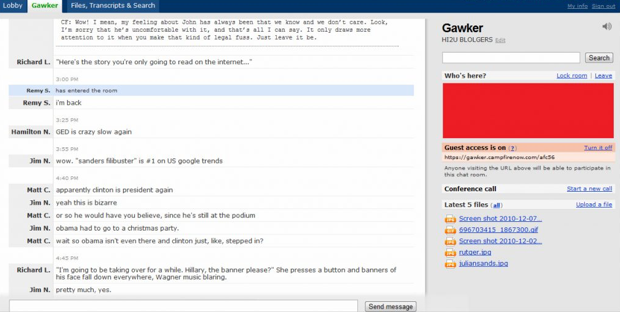 HipChat WAS a popular messaging and collaboration service owned by Atlassian, launched in 2010 (years before Slack!). HipChat was a decent Slack competitor for years. Even when Frisco-based SaaS was already picking up steam, HipChat managed to get ahead of its arch rival a few times. 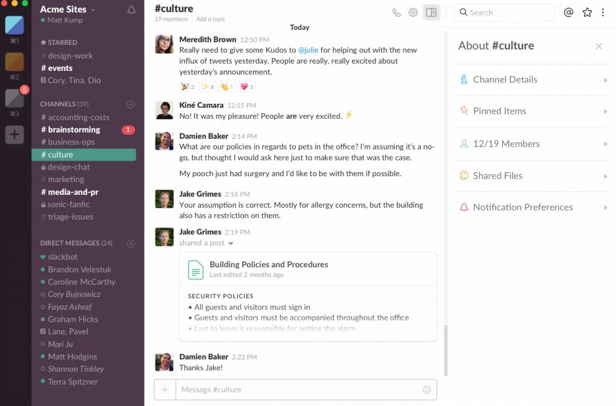 For example, in 2016 the tool introduced team video chat and screen sharing – the features Slack didn’t have back then. But eventually, HipChat lost the battle. First, it was replaced by Stride. 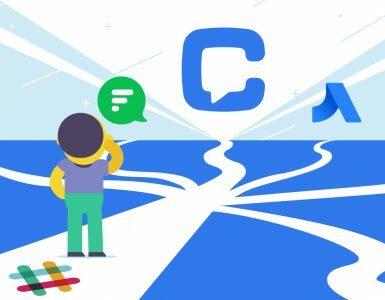 Then, as Slack and Atlassian forged ‘a strategic partnership’ in July 2018 and HipChat days became numbered. 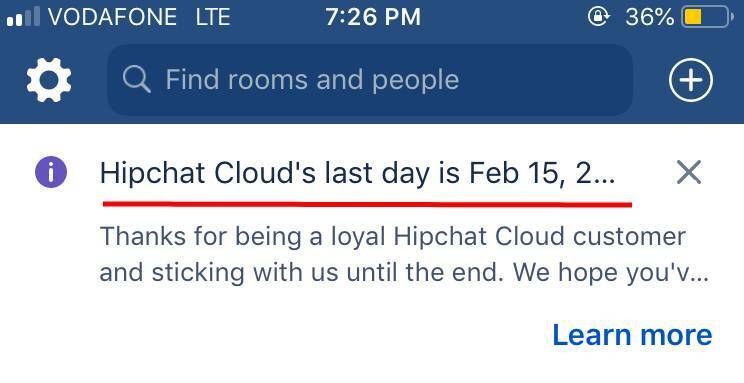 HipChat users started getting ‘The end of support’ reminders in January 2019. As the tool gets discontinued on February 15, 2019, what can its users replace it with? Naturally, HipChat users are provided with a migration path to Slack. But what about other tools? We’ve analyzed different apps that people are asking Google to compare with HipChat. It turns out not every HipChat alternative people are searching for can replace the discontinued team messenger. Let’s see which apps are real HipChat alternatives and whether they are worth a try. Yes. Chanty is a simple AI-powered team chat our team is building. It’s designed for the needs of the small teams at work. Currently, the product is in the soft launch phase and not everything we’ve planned is implemented yet. While it’s tempting to roll out all of the exciting features at once, we believe in building a product together with our customers. That’s why we let them see what Chanty is from the very beginning. Here’s a brief comparison of Chanty and HipChat. If you’d like to become a part of our amazing community and participate in the development process, feel free to sign up here. How is Chanty different from HipChat? So, first, you can create tasks in Chanty, assign and filter them by status, dates and people. (HipChat doesn’t have this feature). Second, Chanty doesn’t limit your message history limit – even in the Free plan. Third, Chanty helps you stay organized with Teambook feature. It’s a single hub for all your Links, files and pinned messages making it easy to instantly find what you need. Yes. Slack is a well-known communication and collaboration tool for teams. 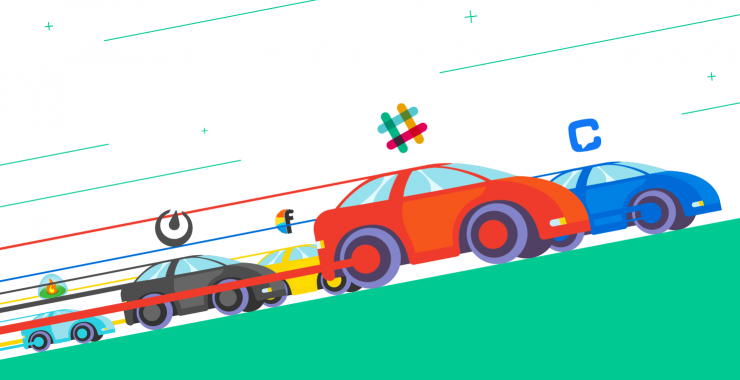 The combination of a powerful search, a number of integrations, a slick UI and charismatic copywriting made thousands of teams fall in love with Slack. 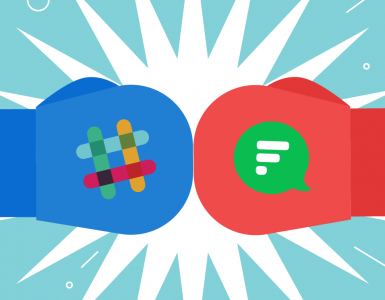 How Slack is different from HipChat? To wrap it up, HipChat used to be almost 4-times cheaper than its arch rival. On this premise, Slack offered migration promo program with a 75% discount to paying HipChat users for the first year pricing. But in 2020 one should be ready to pay a tidy sum. Yes, if you are using Basecamp. Seems like all the major CRMs have added the team chat functionality within their apps already. E.g. Bitrix24 and Basecamp are following this trend. Launched in 2006 as a team communication tool, Campfire has been merged into Basecamp and currently, the standalone version of Campfire chat isn’t available. However, if you have a Basecamp account, you can still use it along with other Basecamp features. How Campfire is different from HipChat? Notifications settings You can customize your notifications and even set the volume at which you’d want to receive them Notifications are not highly customizable. You can either receive them about everything or be notified only when someone sends you a Ping or @mentions you. As you can see, while HipChat was a standalone tool, Campfire is a Basecamp feature now. It’s basically a chatroom stacked with tools for conversations: you can attach files, quotes, code samples, insert sounds, video, and emoji, use @mentions. 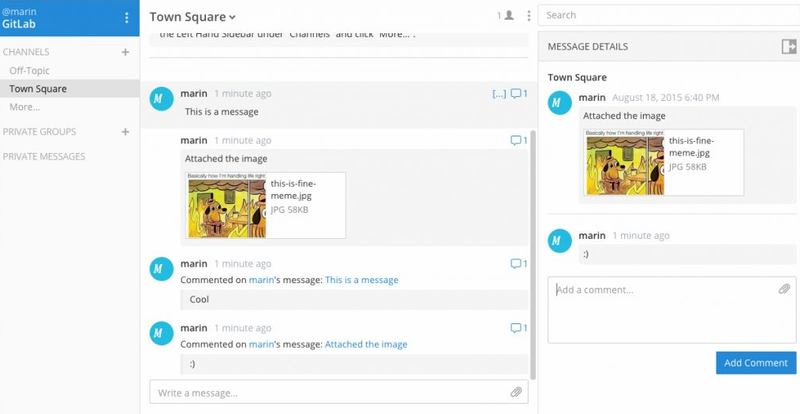 For one-to-one conversations, Basecamp users have Direct Messages (Pings) features. Yes. Founded in 2009 Flowdock was acquired by Rally Software in 2013. 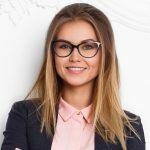 This team communication tool is overall pretty simple to use, with an interesting approach to threads that are highlighted in different colors so you don’t lose the conversation you need. Unlike HipChat, it doesn’t have a lite product version. Instead, Flowdock offers its product for free to the small teams of five and students. 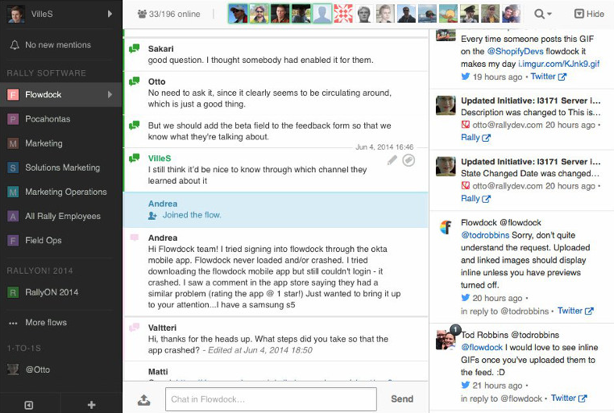 How Flowdock is different from HipChat? If having direct audio, video calls as well as having screen sharing options without installing integrations is a deal breaker for you, Flowdock is unlikely to meet your team needs as it uses third party integration with Appear.in. However, what our team has appreciated while trying out Flowdock for about a week is the ability to hashtag any message in the conversation and then go back to it later via hashtag search. Yes, if you are not looking for a public cloud solution. Mattermost positions itself as an open source private cloud Slack alternative. In simple words, it means you can’t download Mattermost app and launch it at your computer, like you’d do with HipChat. Instead, you’ll have to deploy and install it on your own company server. Due to a number of contributors to this open source platform, Mattermost is also available in more than 10 languages. How is Mattermost different from HipChat? Mattermost app would definitely require a system administrator from your team to set it up. However, if you choose to use their free version, you can enjoy the unlimited number of integrations and searchable messages. The number of languages Mattermost supports is a significant benefit which makes it a good fit for multilanguage teams all over the world. No. Although Skype is often used for communication at work, its open ecosystem doesn’t allow private team communication and collaboration. Moreover, there are no direct integrations with third-party apps (if you are technical though, you can use Skype API to create bots). There is also no file storage, so every time you need to send or resend a file, you’ll be going back and forth doing it multiple times. It also means you won’t be able to perform a file search in Skype unlike HipChat. No. 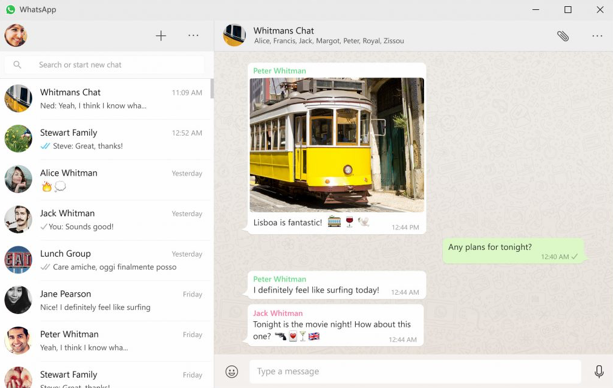 Even though WhatsApp isn’t a team communication tool, we were surprised to discover people often compare HipChat and WhatsApp. To start with some clarity, they are very different products. While both apps are communication tools, they are used for different purposes. WhatsApp was mostly for personal use while HipChat is designed for communication at work. Moreover, WhatsApp is connected to your phone number and it is mostly used on mobile. It would be definitely a hard task to communicate and manage a development team using WhatsApp. No. 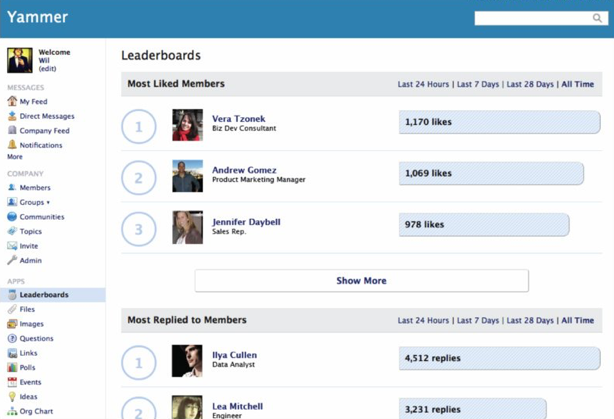 Comparing Yammer to HipChat is more like comparing Twitter and Skype. Yammer is basically a microblogging platform – a social network for team communication within a company with ‘like’ and ‘share’ options for the messages. Launched in 2008, Yammer was acquired by Microsoft in 2012. Starting from January 2017 you can’t get a standalone Yammer subscription any more as it’s now a part of Office 365 package where the plans range between $5 and $12.5. The good thing – you can integrate Yammer with other Microsoft Office products in a seamless and easy way. You can also check out our article on Yammer alternatives. No. 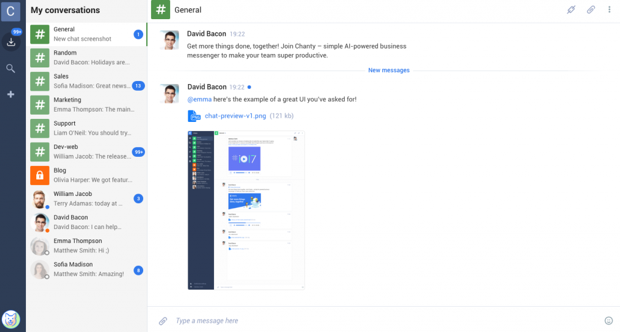 Hangouts is not a team communication platform like HipChat, Chanty or Slack. It would be wiser to compare it to personal chats like Skype or Viber. If you have a Gmail account you already have Google Hangouts by default. The tool is well-known for its high quality video conferencing functionality. Many companies that used HipChat prefered to integrate Google Hangouts rather than using the built-in options for calls. 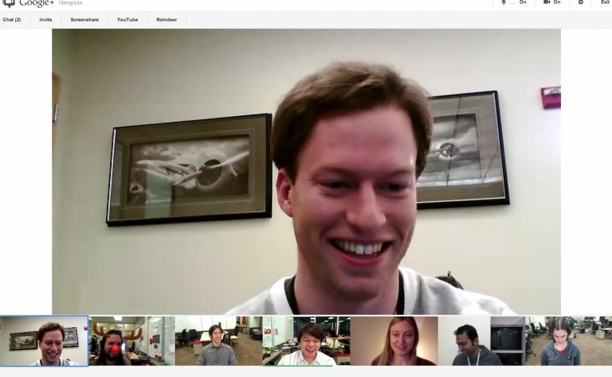 Hangouts, though, is not the only team collaboration tool developed by Google. There’s Hangouts Meet as a way to schedule video calls, and Hangouts Chat for continuous text chat with your team about your products. 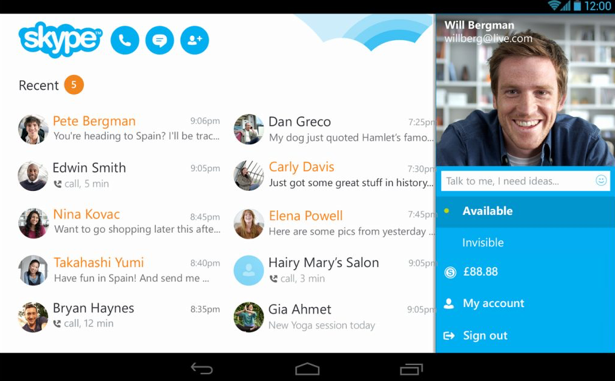 And on the consumer side, Google’s combining its messaging efforts into the new Google Chat app. Hangouts might be closed soon, as explicitly confirmed by Scott Johnson, the product lead in G Suite. Hangouts users will be eventually transferred to Hangouts Chat and Hangouts Meet. While all the apps we’ve reviewed in this article are tools used for communication, being a team chat means creating a closed team universe that is used exclusively for communication and collaboration at work. Having analyzed the 9 different apps that people often compare HipChat with, it’s time to sort things out and decide which of them are real competitors. The ‘True’ column means an app is an instant messenger, serving the same purpose and solving the similar pain points as HipChat does. ‘False’ means the app serves the different purpose and isn’t actually a HipChat alternative. Don’t know which HipChat competitor to choose? 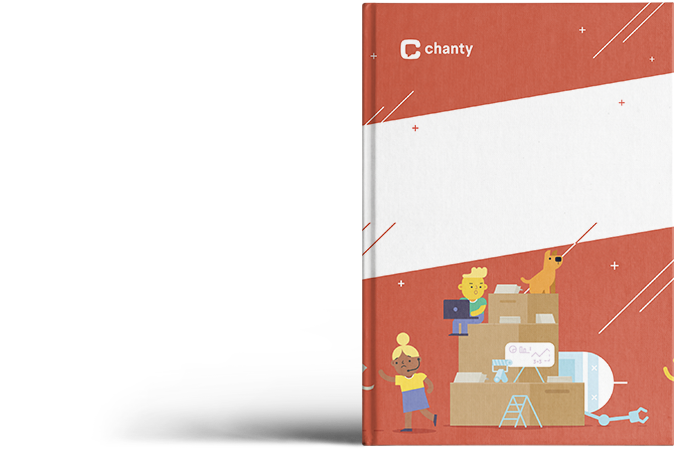 Sign up for Chanty and become the part of an amazing community exploring the next gen AI-powered team chat.